The time for brands to begin tuning their online presence for voice has arrived, says Michael Jenkins. Here is a brief guide to navigating the data barrier to voice marketing, AI in voice SEO and improving your searchability. ‘Hey Siri, how popular is voice search?’ The short answer is: very. According to Alpine.AI, there are now over one billion voice searches each month. Voice search has come a long way since Siri snuck onto the market in 2011 with painstakingly slow – and rarely accurate – search returns. Voice assistants are now programmed to understand nuances in conversation, humour and, as we saw with the launch of a mind-blowing technology from Google last month, can even book haircuts. 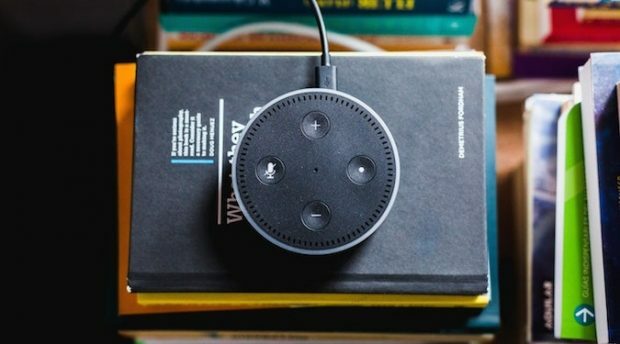 With these technological advances, sales of smart technologies like Amazon Echo, Siri and Google Home have also grown astronomically over the past 12 months. Outside of the home or office, brands like BMW ensure that every car is fully optimised for ConnectedDrive, placing connectivity alongside electrification and autonomous driving on the customer priority list. This seismic technological shift toward voice controlled search is something marketers simply cannot afford be complacent about when employing an SEO strategy. Here’s why. One of the biggest challenges that marketers face is the massive amount of data required to do voice search correctly. If you want to understand voice search you need to start by examining how voice data works. Intent and parameter – while becoming increasingly sophisticated, voice search has more intent than traditional search. For example, common words such as ‘king’ can be confusing. Computers do not know if you referred to royalty or Elvis Presley. A parameter such as, ‘play the king of rock and roll music’ provides helpful data to choose the correct version. Paths – instead of simply relying upon the search, companies like Google and Facebook explore how users interact with brands and other channels to predict voice interactions. When they know you came to their site from another, they can see how you liked this type of site and use it as a predicator for future possible voice searches. Errors – while this has dropped dramatically, voice search is still in its infancy. Mistakes occur, and it is important for marketers to be aware of this when optimising for voice search. Currently, cumulative spending on data accounts for 20% of all voice marketing. Those who do not store, manage and utilise their data cannot compete against the companies who have volumes of data at the ready to help guide their decisions. Voice search is one area where having more data can help set you apart from the crowd. Like any emerging trend in SEO, you must experiment to determine what works best. For example, many companies have just transferred their websites to a mobile apps. Instead of experimenting with the channel to understand the needs of their customers or how to gain advantages over their competitors, companies stuck with what they knew. Long tail keywords are those three and four keyword phrases which are very, very specific to whatever you are selling. What this means for marketers is that SEO now is about going for a larger keyword strategy. Searchers queries, particularly on voice are more conversational by nature. People are not typing – or saying for that matter – phrases like ‘clothing store’, they may, however ask, ‘best designer fashion stores to buy a cashmere coat near me’. This behaviour highlights the importance of content. To do this a site requires more content on pages – content that is mapped to the search keyword strategy. Having more content means that you will also need to balance the user experience – ensuring that it both enhances usability and also enhances SEO. Most importantly, it’s imperative that longer tail keywords are seamlessly sprinkled through the syntax of website copy. This will allow search engines to see more context via voice-activated search and will result in pages appearing for a higher volume of phrases. Help search engines with voice search by including structured data in your website. A few years ago, the major search engines agreed upon a unified mark up structure that website admins should use on their website. This information is part of the data that search engines use for voice search to determine the relevancy of a website. Furthermore, this information is a goldmine for websites that want to get local search traffic. Location plays a role in 80% of all searches, and voice search makes up a large percentage of these searches. Including micro-data on each page like location, product information and other essential details helps you improve your searchability when people ask for a local establishment. This is one of the reasons we discussed why your name, address and phone must be correct on your website. Search engines extract this information when comparing users’ searches to nearby retail outlets – you can even it use it for keywords. We use structured data to let Google know some of the most important pages (e.g. social media agency, conversion rate optimisation, SEO agency and PPC) for them to index. With voice search growing in popularity as voice queries improve in accuracy, it is vital that your company optimises your voice search efforts to reach consumers. Do this by looking at the data, testing and improving the structured data you have on your website to drive more targeted traffic. Michael Jenkins is founder and director at Shout Agency.